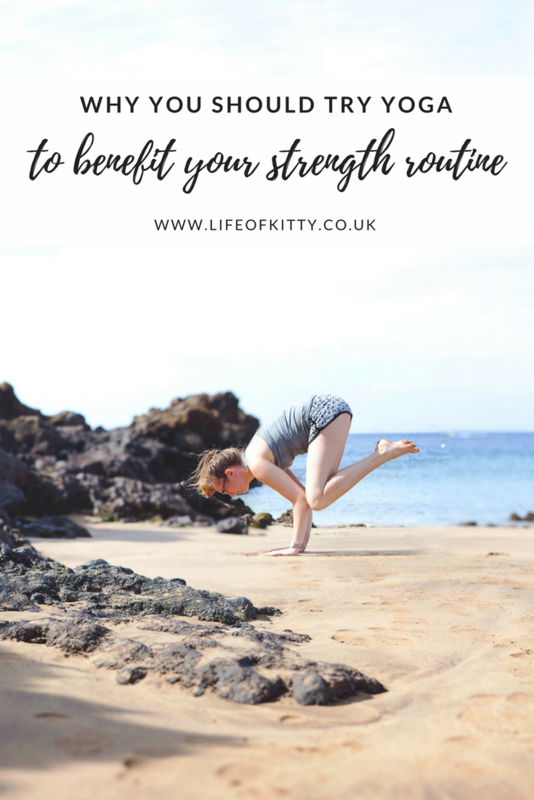 I’ve written a little bit about yoga on life of kitty previously, but I figured that, now I’m trying to fully get back into the swing of things, it was time to revisit why yoga really can benefit your strength routine. When I turned up for my first yoga class at my new gym I was a little nervous. But I wasn’t the only newbie. I was joined by a couple who had never done yoga and a guy who had also just joined the gym. He said he’d never focused on any stretching and wanted to try to see if it helped him. So many of us go heavy on the weights without stopping to think about how our body is recovering and repairing. It’s not just about getting the right foods in, but also how you physically care for your body afterwards. And that thought is what the teacher introduced us to yoga with. She started by giving us a little information about why yoga perfectly complements a strength training plan, and how all bodies can benefit from a bit of regular stretching and meditation. 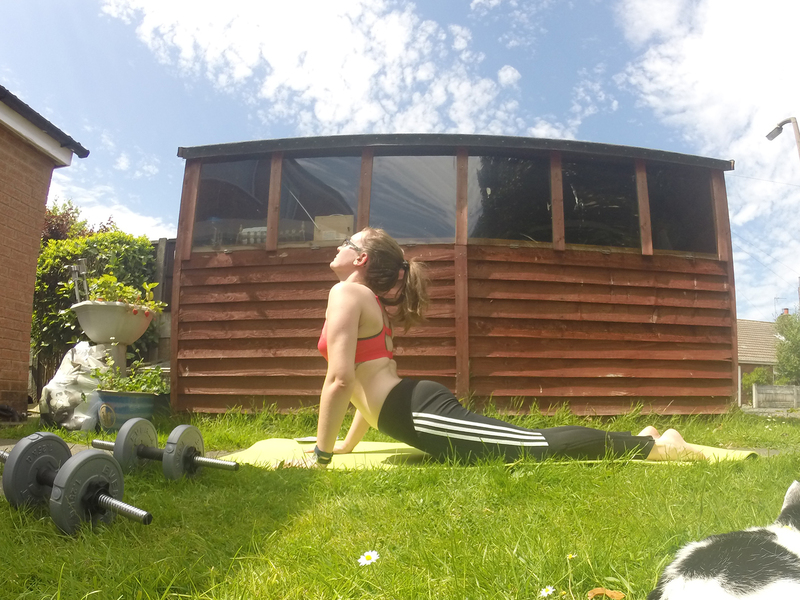 Yoga is something that absolutely anyone can try at home – there are so many videos online, my favourite is yogawithadriene – but it’s also something that I would always advise to try in a class setting. The class I go to is small, with around 6 being the most in at once, and I really enjoy it. The teacher will walk around and ensure we’re doing the poses correctly (so we are getting the full benefit of the stretch, and so we’re not injuring ourselves!) and help us to adjust if needed. Granted, it can be a lot different in a bigger class (the teacher can’t – or won’t – always walk around to give advice) but if you can find a teacher that you really like, it makes a world of difference to just being at home alone following a video! 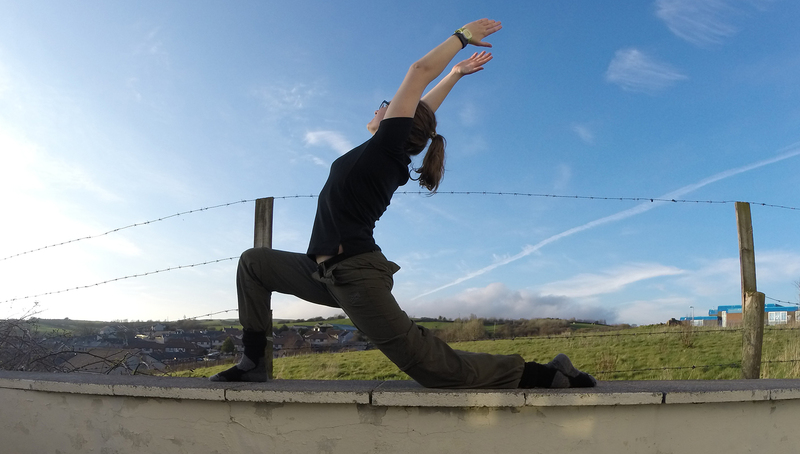 Anyway, enough of that… Here’s why you should try yoga to benefit your strength routine. One of the first thing we did in that first class was to lie on the floor, and lift our upper body up like a crunch. She asked us if we felt that shaky tension (try it – you’ll know what I mean) and if so to try to relax the abs at that point. It was because our abs were so used to being clenched, that they weren’t relaxed or loosened, and that’s what we were aiming to do. 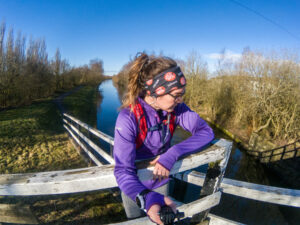 To let our tight muscles go. It’s something you can really tell when you stretch one side out at a time. We’ll focus on our right leg for a few moves and then lie back and think about how each sides of our bodies feel. It’s amazing how loose and relaxed that right side can feel compared to the un-stretched left. You have to be present in your body for yoga, and this means knowing what it feels like and mindfully doing the movements in the poses. I think to those who have never done it, yoga just seems like something for those who are super flexible. It isn’t. You’ll have to engage your core in a lot of poses, you have to hold poses for a certain amount of time, you have to be able to balance. This stuff all uses your muscles, and you are strengthening them by working on the fundamentals of yoga. I think a lot of people just see yoga as a relaxing and easy stretching routine and it can be that, but it can also be a tough workout too. The crow pose (the one I’m doing right at the top) needs a lot of arm strength, balance and a strong core. I’m happy to admit that I cannot do that pose nearly as well right now, but I’m trying to get back to it! This sort of follows on from the last point, but if you want to work out but feel like you need something a little lighter, yoga is perfect. You can make it tough enough so that your muscles feel sore, yet soft enough that you also feel well stretched and relaxed afterwards. It’s all about balance. Also perfect for those who need a rest day, but don’t like to stay still. You can even just focus on meditation and breathing, not so much the getting into strong poses. I find that it makes me feel really relaxed and easy routines are great for just before bedtime! Posture is huge in yoga practise. You are thinking about the way you’re breathing, the way you are standing and holding your shoulders or hips. Are you leaning to one side? More weight balanced on one foot compared to the other? Yoga practise makes you more aware of how you hold yourself, and with time it gets easier to stand up tall and proud more naturally – rather than being hunched. Better posture of course can lessen the chance of you getting back pains (though I won’t even try to suggest it as a full on cure) and means that when you do exercise you’re more aware of the position you are in. This can be super helpful when lifting heavy weights! Ever tried yoga? Or always too scared to try it?